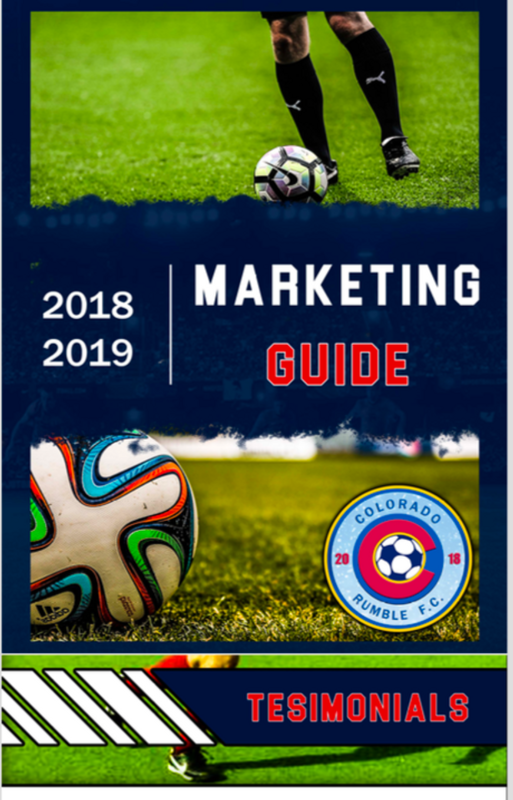 Sponsorship Info - Colorado Rumble F.C. The Colorado Rumble F.C. are proud to offer a variety of sponsorship options and opportunities for any types of businesses, organizations, and more. Be apart of our family and become a proud sponsor of a growing franchise, with the goal to bring success and pride to Colorado. Consider sponsoring a player, or getting involved in other ways. Come with your family, friends, colleagues, etc. and join in on the action of the professional arena football (soccer) game. It will be a memorable entertainment experience that you and your family, friends, colleagues, etc. won't want to miss. For more information about our sponsorship opportunities, and to become a sponsor, please click on the graphic pictured below, or contact the Owner/President/GM, Gary Faircloth, if you have any questions.